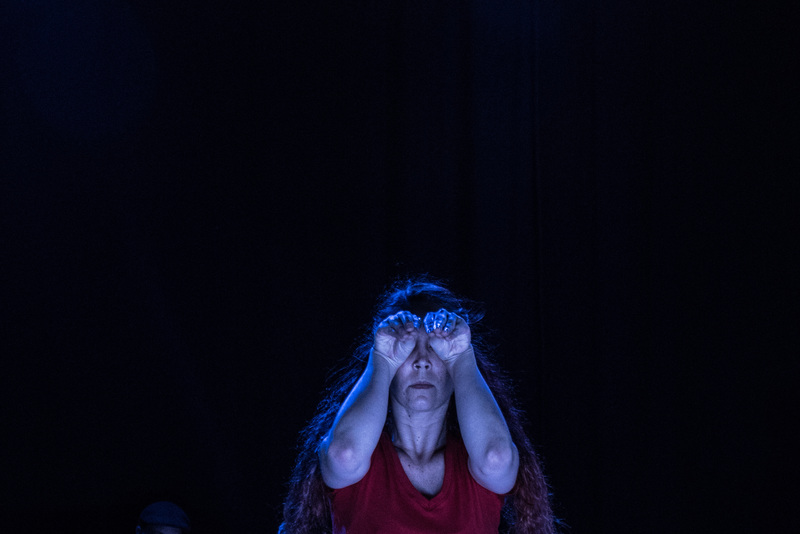 Deborah Slater Dance Theater announced our 27th Home Season with the intimate and emotionally powerful TIME’S ARROW, performed in our home theater for an unusual three week-end run! Built in two sections, ‘IN THE BEFORE’ and ‘for the TIME BEING’, TIME’S ARROW addresses love over time, quantum physics, family portraits, walls, falling down, and continuing on in the face of loss. Built in collaboration with the dancers, composers and designers, the work expands our central family story, the family we choose as opposed to the family we have and the many kinds of love we experience. Apropos of the times, using storytelling techniques and exceptional collaborators, Slater sheds light on the art of survival, the effects of loss over the passage of time, and our shared need for solace, humour and love in the face of harsh realities. Composer Darren Johnston contributed a live score, performed by his trio, which holds this world. Allen Willner designed the lights which reveal the world.